MCKN. is a project by DealCorp in McKinnon. Photographs taken by Daniel Lawson for Prop & Pose Co. 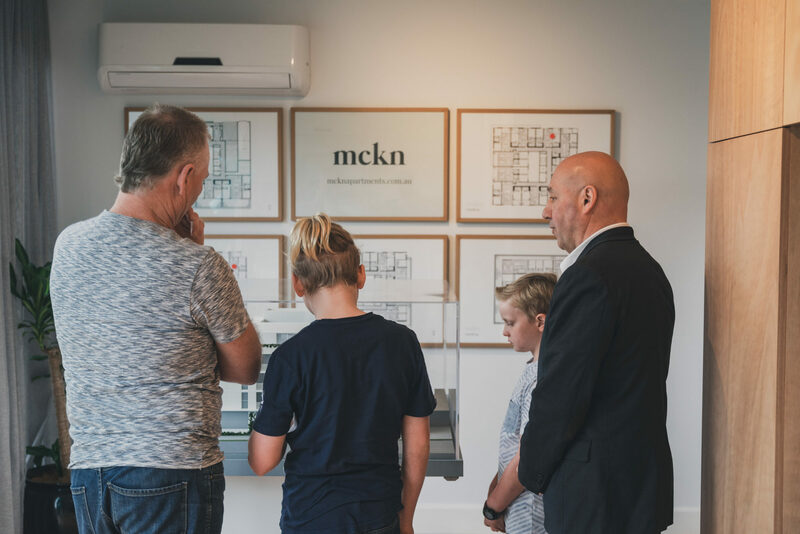 Located on the corner of Jasper and McKinnon Roads sits the new display suite for mckn, which showcases the beautiful finishes in the mckn penthouse scheme. The purpose of this display is to encourage buyers to check out the fantastic local McKinnon community, which they could soon call home. McKinnon offers an abundance of amenities right at your doorstep, with over 30 retailers, the McKinnon train station and McKinnon Secondary College just down the road. The local area also boasts 14ha of parklands and open space, providing plenty of space for active recreation and relaxation. Designed by award winning RITZ & GHOUGASSIAN, mckn’s refined aesthetic will both complement the neighborhood streetscape and add its own chapter to the suburbs evolving architectural story. The development features 37 residences, across 5 levels up to 225m2, each filled with natural light and spacious balconies. The display suite will be open this Thursday from 12-2pm and weekends 2-4pm, or via private appointment. Please call John Kravaritis for more information 0413 561 225.